It was another beautiful night for baseball in Northwest Georgia and Legends on Deck was live at State Mutual Stadium as the Rome Braves took on the visiting West Virginia Power. The Braves (5-8) donned their red tops with the blue letters, white stars and their white pants while the Power (7-8) took the field in their black tops with the yellow letters and gray pants. Despite being just game two of the four game series, both teams entered the evening on tired legs after their 15 inning affair the night before. Game one went to extras tied at one a piece, both teams put one run up in the 12th, before the Power finally took it in the 15th by a final of 3-2. One night after nearly a four and a half hour baseball marathon, we had a sprint. Saturday’s pitcher’s battle was over and done with in a matter of one hour and 54 minutes. Rome starter Bryse Wilson took the mound to face West Virginia’s Eduardo Vera and both right handers brought their “A” game to this one. 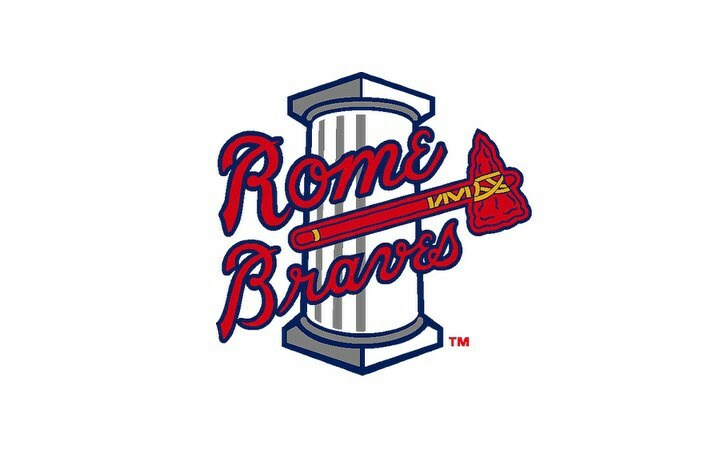 With a plethora of pitching talent throughout the Braves farm system, it is hard to keep up with what every pitcher does night in and night out. However, every now and then there is one hurler that makes everyone in the organization, and its fans, stop and take note. Bryse Wilson had that kind of a night on Saturday. The former fourth round pick has been enjoying quite a season, but he really put an exclamation point on it with his complete game shutout against the Power. Coming into game two of the series, the most innings Wilson had thrown in a game was six and he had only tallied that total once. He eclipsed 100 pitches for the first time, but was able to continue to do what he does best, keep people off base. Wilson has managed a WHIP of 1.07 and a walk rate of just 6.4% in 2017, and that trend continued Saturday night. Allowing just five base runners throughout the evening, Wilson frustrated the visiting hitters, especially in the middle of the game. There was a point between the fourth and the eighth innings where Wilson retired 11 batters in a row. He allowed just five hits, didn’t issue a single walk, and struck out seven. Some credit also has to be given to manager Randy Ingle. Of course it was his bobblehead night, but he also made the choice to let Wilson throw more pitches than he had ever thrown in his pro career and allow his first pitcher of the season to toss a full game. While Wilson stole the show in this one, Power starter Eduardo Vera had a solid start of his own. Despite being pegged with the loss, the 23 year old out of Mexico also went deeper into this game than any of his previous outings. Vera doesn’t light up the radar gun or get a whole lot of swing and miss, but he has the ability to get batters to make weak contact, just like he did tonight. Vera’s final line: 7 IP, 2 R, 7 H, 1 SO, 2 BB. The Braves Single-A squad also happened to welcome a rehabbing Micah Johnson to town for this game. Johnson was 2 for 4 on the night with an RBI while also flashing the leather with a great over the shoulder catch running straight back and leaping into the wall in center. Kevin Josephina was 2 for 3 on the night and had the Braves other RBI. Game three is set for Sunday with the first pitch at 2pm. The series will wrap up with game four on Monday.